The World Cup has now reached its half way stage, with all the group matches completed. I haven’t watched all the matches but the ones I have seen have all been good and enjoyable. The overall impression from the TV coverage is that this is a well run tournament and all the fans in Brazil seem to be having a great time, whatever the results of their team. Compared to the last World Cup in South Africa, this is a much more open tournament with more goals and most teams at least trying to play attacking football. As the tournament is in South America it is not surprising that South American teams have done very well. Not quite as well as four years ago, when all five teams progressed to the second round. This time there were six South American countries in the tournament and five are still in contention. Only Ecuador failed to progress. Not 100%, but still an exceptional 83% success rate. The North and Central American countries have also done exceptionally well. Three out of their four teams progressed, a very impressive 75% success rate. This is even better than in South Africa. Then come the relative failures, Europe and Africa. European countries have made no progress at all compared to four years ago. Once again only six of the 13 countries in the tournament have managed to progress, which represents a 46% success rate. African countries on the other hand, perhaps surprisingly, have improved on their showing in South Africa. This time two of the five countries have progressed, representing a success rate of 40%. The big losers this time around was Asia. Last time two of their four countries qualified for the second round. This time none did so. Very disappointing and on the whole their representatives played poorly. As regards the football on offer, a marked improvement from four years ago, with more goals and more excitement. The usual quota of questionable refereeing decisions to add to the talking points. Unfortunately we have also had the unsavoury and most unsporting behaviour of Luis Suárez to contend with. Hopefully his vampire imitation will remain a one-off. While goals are always welcome, it has to be said that some of the defending has been pretty woeful. In particular by Spain and Switzerland. Still it all adds to the excitement and unpredictability of the matches. Who would have predicted Spain, Italy, England, Portugal and Russia to all fall at the first hurdle? A special word of praise must go to Costa Rica, who not only topped their group, but sent both Italy and England home early. Good play by the Central American team who richly deserved their success. The country I felt most sorry for was Ghana. As in South Africa the Ghanaians played some lovely football and were always looking to break forward. They were, unfortunately for them, in a very tough group, with Germany, Portugal and the USA. I will miss their brand of football. Looking ahead, France have looked good, but in a very weak group and massively helped by an exceptionally poor performance by Switzerland. Not enough evidence to tell if France are really as good as they look. Nigeria will surely test them a bit more. The Netherlands have also played well, though again helped by atrocious defending, but they look well organized and in Arjen Robben clearly have a match winner. Germany are though the team that has looked the most impressive in the early matches. Strong, disciplined and as usual well organized. No stand out player, but just about everyone looks very good. Neither Brazil nor Argentina have fully convinced me so far. Both can be very good going forward, but both still seem a bit short on defensive organisation. Surprisingly neither country seems to have a really good creative midfield player, one who can read and control the game. Still, both should progress to the quarter-finals and then who knows. It is worth remembering that in South Africa, though the countries from South and North America did exceptionally well in the group stages, by the semi-finals all but one, had been eliminated. On the other hand, while only six European countries made it to the last 16, three went on to the semi-finals and the final of course was an all European affair. The way the draw has worked out this time, there will again be at least one South American country in the semi-finals. Four of the South American survivors are all in the same quarter of the draw. Brazil will be favourites to make it from this mini-group. There they are likely to face either Germany or France. The three North American survivors have not had it so lucky. Mexico face the Netherlands, though Costa Rica must have a very good chance of beating Greece. Alas, their reward is likely to be a match against the Netherlands, who will be favourites to reach another semi-final. Their opponents could be Argentina, who face Switzerland and then the winners of the Belgium v USA match. 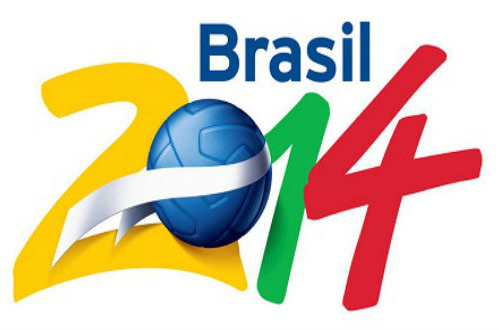 We thus have the prospect of two very high profile semi-finals and perhaps the dream final – Brazil v Argentina. This if it were to happen, it would be the first all South American final since 1950. When as it happens, the World Cup was last held in Brazil. That final was Brazil v Uruguay and the surprising winners were Uruguay. All of this is just pure speculation at the moment. Football matches rarely go as expected, as the group stages can testify. Still some exciting matches to look forward to. Let the games begin!